We begin with another flashback. This time the death ofthe first Mr. 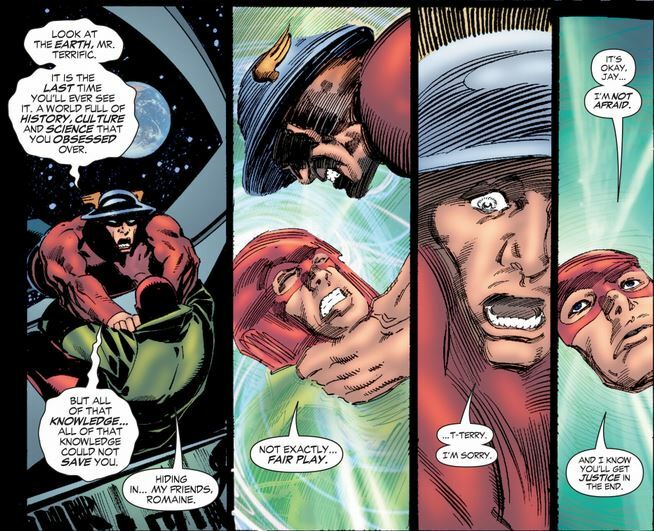 Terrific at the hands of the Spirit King, who has possessed Jay Garrick. Terry Sloane's funeral is very well rendered. 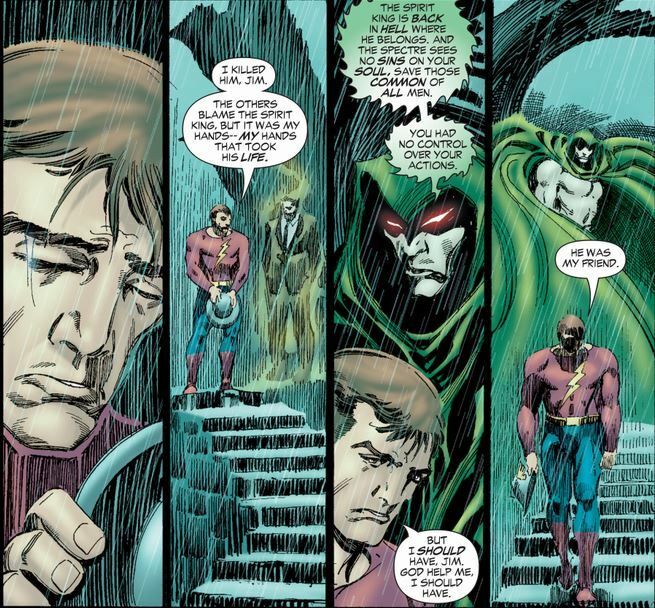 The Spectre himself clears Jay Garrick from any responsibility regarding Mr. Terrific's death. Still, it must be a heavy burden for Jay though. Back to the present and the returning Spirit King. Romaine gets under the skin of the new Mr. Terrific prompting a T-Sphere attack. Alright, so what is happening here? With the Spectre's change from Spirit of Vengeance to Spirit of Redemption everyone he has ever condemned to hell is returning. 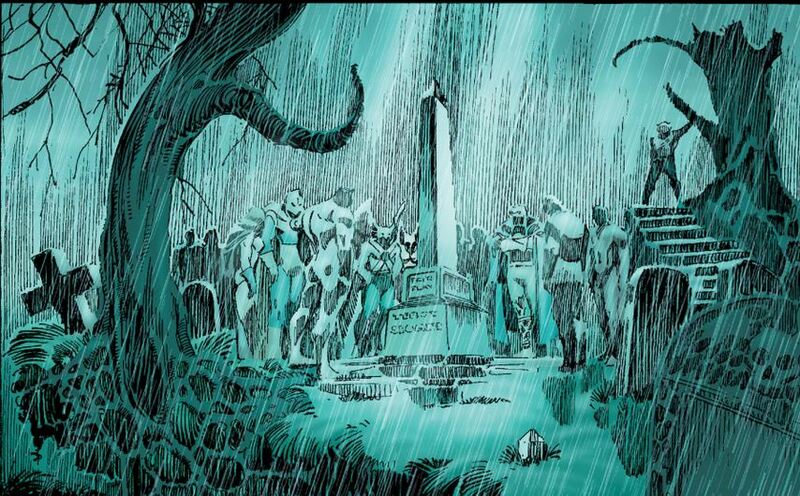 Considering how long the Spectre has been around we are talking of a vast army of spirits. It was one of these - the spirit of the gangster Louis Snipes - who shot Ice Sickle from last issue. 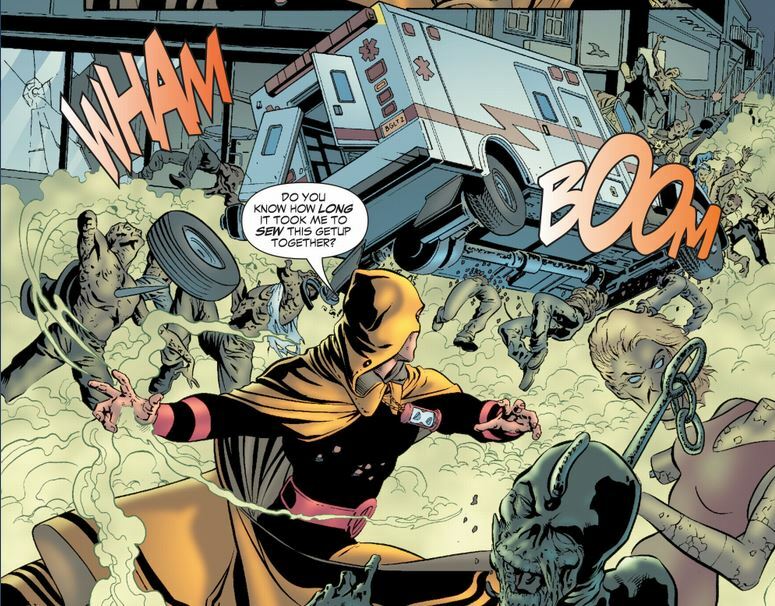 Snipes wants more victims and decides to rain bullets on Dr. Mid-Nite's clinic. Fortunately, the Flash is on hand. 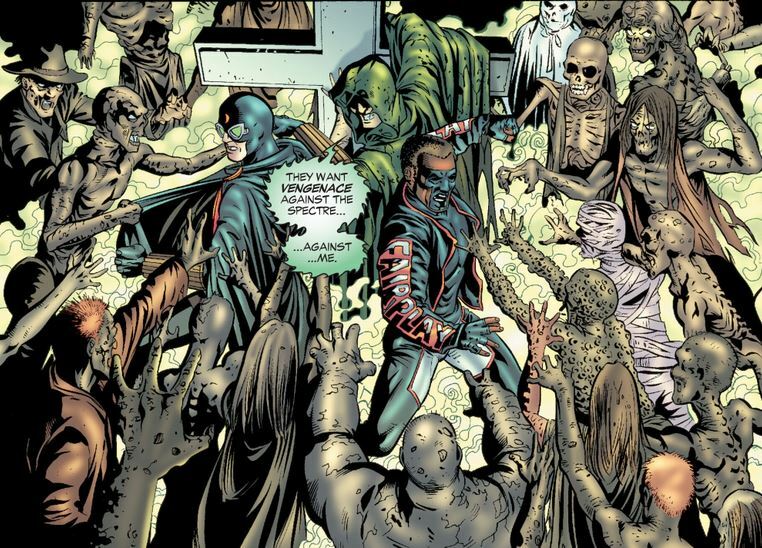 Here's Snipes and a host of undead. 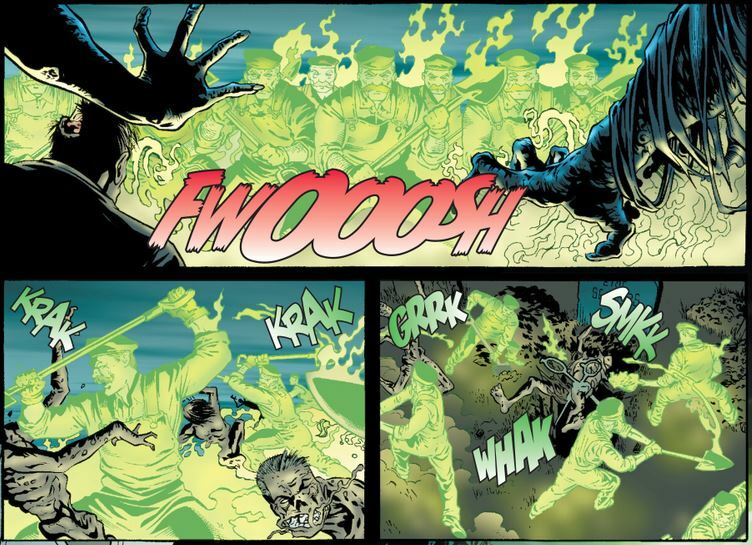 Because of the clash between Spectre and Hal Jordan, the Spectre is unable to assist, and soon, the heroes are overwhelmed. They need more numbers on their side, and, with the timely arrival of Green Lantern, they get it. 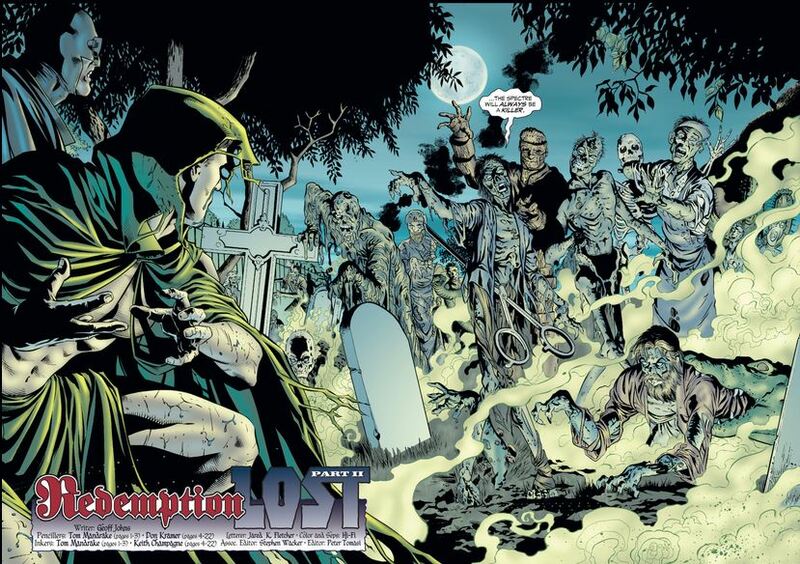 Green Lantern, very amusingly, creates a troop of gravediggers to deal with the undead. 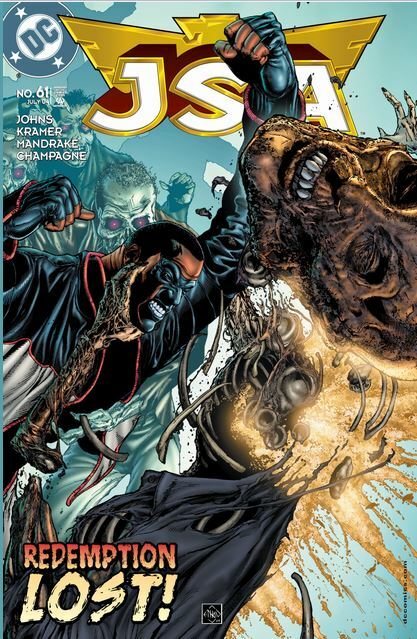 Now the JSA pushes for the victory with two other entrants. 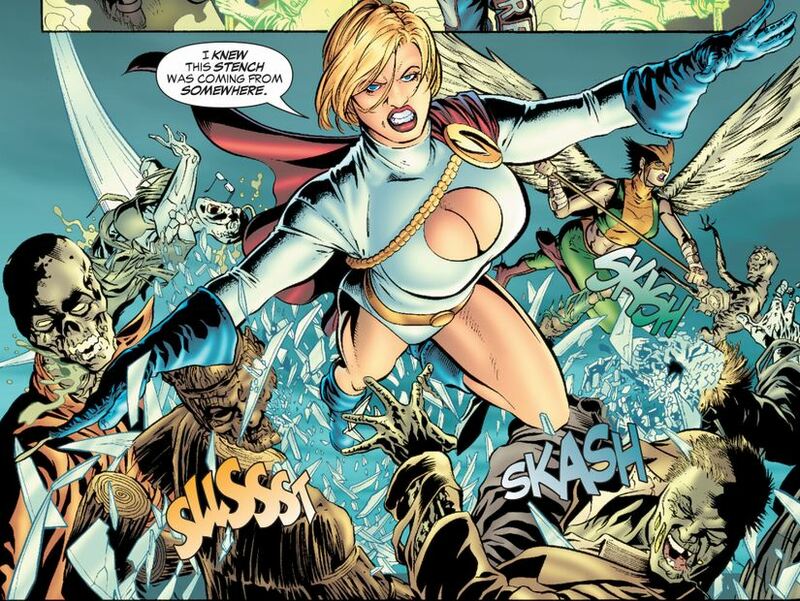 The fight gets pretty, well, gross, as can be inferred from Power Girl's statement. 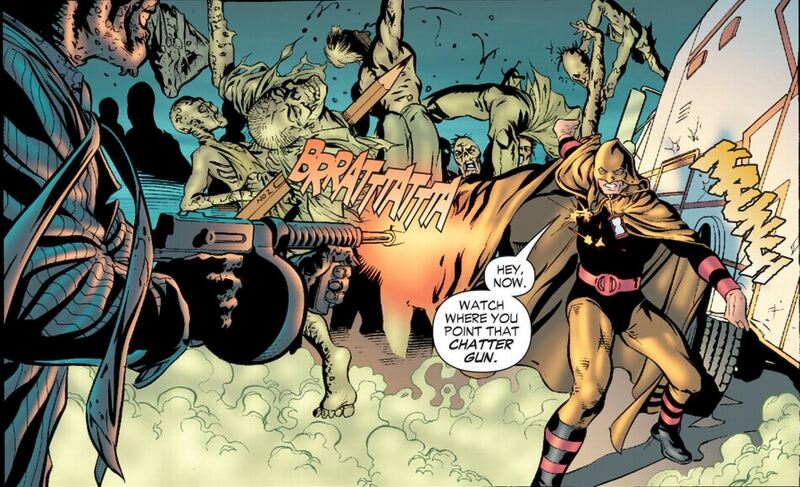 Hourman confront's the trigger happy Snipes. I thought the Miraclo pills only made Hourman strong. I didn't know he was invulnerable too. But then again, having super-strength with no invulnerability, well that's a good way to ensure broken bones. 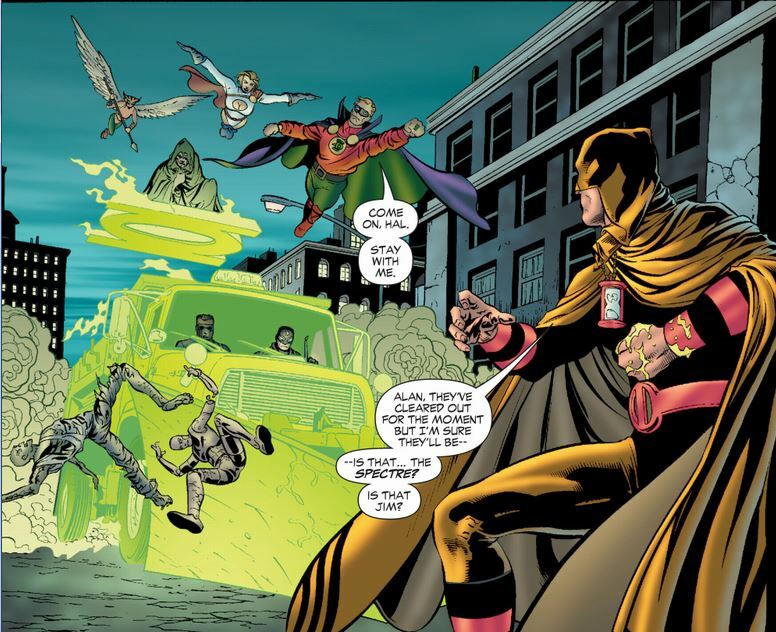 Hourman really shows his stuff. The Flash is in this fight too. Or rather, was. 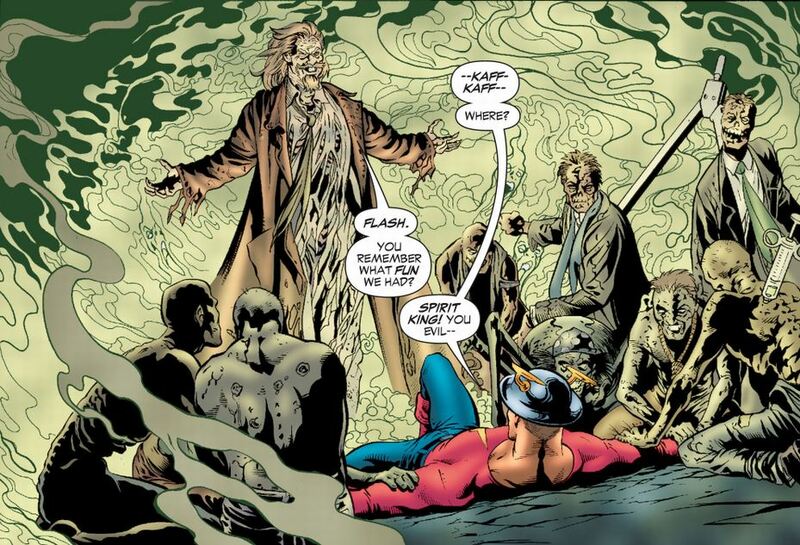 The next time Rex Tyler looks to him Jay Garrick is gone after hearing some kind of eerie summons. The cavalry arrives via Green Lantern express. I love how Alan is using that ring. 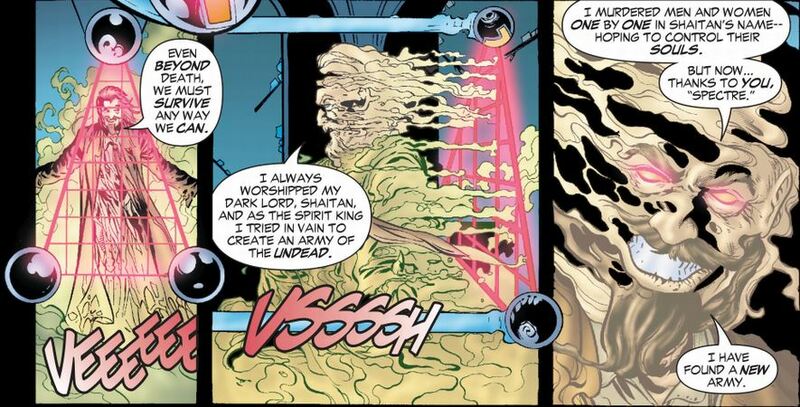 As for the Flash, he's been filched by the Spirit King. Not content with violating the Flash once, the Spirit King aims for a repeat performance of murdering his foes through the Flash. Roger Romaine is truly evil.